Lisa Fithian has been working for nonviolent social change since the mid 1970’s. Over the years she has been a student, labor and community organizer on a broad range of issues. From environmental justice to student and worker rights, from peace and global justice to immigration and housing, Lisa continues to use a wide range of strategies and tactics and encouraged nonviolent direct action as one of the most effective strategies for change. In 1983, Lisa began working with Abbie Hoffman at Save the River in Clayton NY on the St. Lawrence River. During that year Lisa was instrumental in winning a major battle against winter navigation-a billion dollar Army Corp of Engineer project on the St. Lawrence River Seaway. Through Abbie’s work, Lisa began learning about US foreign policy and the increasing US intervention in Central America. During the 1980’s, Lisa worked locally and nationally with the Pledge of Resistance, an organization committed to nonviolent civil disobedience to stop a US invasion in Nicaragua. She coordinated the first National Sanctuary March and was the national coordinator for the 1987 Shut Down of the CIA Headquarters in Langley, VA where over 600 people were arrested. She served on the national coordinating group for the Supreme Court action where over 800 were arrested for gay and lesbian rights and coordinated the 1990 action at the White House commemorating the assassination of Archbishop Romero where over 500 were arrested. During seven years as coordinator of the Washington Peace Center, Lisa organized hundreds of actions on a range of issues both locally and nationally, including the first Gulf War and Palestinian Intifada. She also helped lead an extensive seven year anti-racist process that successfully transformed the Peace Center into a truly multicultural organization. In 1993 Lisa joined the labor movement through the AFL-CIO Organizing Institute. She work on a Teamster Hospital Campaign and for Hotel workers union, HERE in Washington DC, leading a successful campaign against a lock-out at the Madison Hotel using creative direct action tactics. Lisa has brought her nonviolent direct action experience to the Justice for Janitors campaigns in Washington DC, Denver, Boston and LA and the Dignity Campaign for nursing home workers in Detroit and San Francisco. She has worked with the United Auto Workers in developing their direct action capability. Lisa provided support to the Detroit Newspaper strikers as well. The Justice for Janitors 1994-95 bridge blockades in Washington DC trained hundreds of union members and staff from over 20 unions in nonviolent direct action. Lisa has also provided support to hotel workers, farm workers and laundry workers. She was the Southern, CA coordinator for a statewide hospital campaign that eventually lead to union membership for thousands of works. Lisa served at the Mobilization Coordinator for the Los Angeles Country Federation of Labor an 800,000 member labor federation. In more recent years Lisa helped coordinate a four week strike in Houston for the Justice for Janitors campaign in 2006 that resulted in the best first contract in the history of the union. In 2007, Lisa again helped coordinate a strike of security workers in San Francisco, again leading to a record contract that set the bargaining pattern for six more cities. Since the the successful Shut-Down of the World Trade Organization, WTO in Seattle in 1999, Lisa has worked extensively in the Global Justice movement. Lisa provided trainings and was actively involved in WTO and helped found the Continental Direct Action Network afterwards. Lisa organized against the WTO meeting in Cancun, Mexico, 2003, where the talks also collapsed. She played a coordinating role at the Republican and Democratic Conventions in 2000 and 2004 with her primary focus on the 2000 Democratic Convention in LA and the 2004 Republican Convention in New York City. 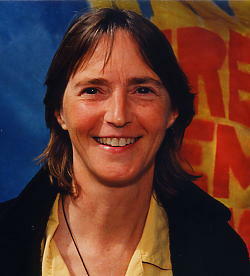 Lisa led nonviolent direct action trainings and helped facilitate the street actions at the IMF/World Bank meetings in Washington DC (2000, 2001, 2002), Prague (2000) and Ottawa (2002). She helped organize against the World Economic Forum in New York (2002) and at the FTAA Summit in Quebec (2001) and in Miami (2003). Lisa has organized at the G8 Summits in Genoa, Italy (2001), Calgary, Canada (2002), Evian, Switzerland (2003) Brunswick, Georgia, USA (2004), Gleneagles, Scotland (2005) and most recently in Heilingdamm, Germany (2007) and Sapporo, Japan (2008). In 2003, Lisa spent several weeks in Palestine, working with the International Solidarity Movement acting as a human shield for Palestinians in Jenin and Nablus and to prevent the demolition of homes. Lisa has also worked for environmental justice in Texas supporting Save Our Springs Alliance, helping to found the Greater Edwards Aquifer Alliance in 2002, which has grown to over 40 groups in Central Texas and working with the Environmental Support Center to bring over 12 EJ grants to Texas groups. Lisa has been active in trying to end the most recent war in Iraq, serving on United for Peace and Justice’s national steering committee since 2003 and organizing protests in New York, Washington DC, Austin and Houston, TX. In 2005, Lisa provided direct support to Cindy Sheehan at Camp Casey in the ditch in Crawford, TX helping to coordinate daily activities and actions. Lisa then coordinated the Bring Them Home Now Tour, consisting of 3 caravans that led to over 200 events in 52 cities in 28 states in 25 days. After the tour, Lisa went to New Orleans after Hurricane Katrina and spent a year working with Common Ground Relief. Common Ground brought over 12,000 volunteers to the region, brining their labor and their resources to help residents return home. Working with the People’s Institute for Survival and Beyond, thousands of mostly young people were provided anti-racist/sexist training and Undoing Racism workshops and encouraged to continue this kind of work in their own communities. Lisa coordinated a nonviolent direct action to open up and gut the MLK Elementary School in the Lower 9th Ward in 2006. Through the ongoing leadership of the Principal, teachers and parents, the State School Board was forced to repair the school, which is now attended by over 600 kids! In recent years Lisa has provided training and support to many groups including the new Students for a Democratic Society, (facilitating their second and third national convention and helping them craft their first national structure), the Baltimore Algebra Project, the United Stadium Workers, the Fair Immigrants Rights Movement, ACORN, the No War, No Warming campaign, and the Capitol Climate Action, the RNC Welcoming Committee, the Mobilization for Climate Justice including shutting down the Chicago Climate Exchange on a national day of action on 10th Anniversary of the Seattle WTO shutdown and then Traveling to the Climate Justice protests in Copenhagen called Reclaim Power. National People Action and Appalachia Rising, and more! With the onset of this new decade, Lisa has been busy supporting movements that have been core to her work over the years. This work included organizing daily actions in Cairo Egypt in January of 2010 for the Gaza Freedom March, working with the Think Outside the Bomb on Disarmament Summer in Chimayo, New Mexico and in Kansas City Missouri Peace Planters to protest the expansion of the nuclear weapons industry. Lisa offered trainings in Detroit at the US Social Forum, in DC for the United We Dream Network. Over the fall Lisa’s work focused on the commemoration of 10 years of war in Afghanistan with United for Peace and Justice and the Washington Peace Center. In 2011 Lisa worked with numerous allied organizations organizing “On May 12” a week of escalating daily action culminating on May 12 with a 20,000 people in 9 un- permitted marches that converged to Teach Wall Street a lesson. This mobilization helped energize a community based movement under the New Bottom Line to launch a fall campaign of actions on banks in 8 cities. This work both energized and benefited from the Occupy Wall Street that launched on September 17th and has lead to important collaborations. I was in New York City training activist on the night of the 16th and taking the streets and park with them that day! Lisa also offered trainings to the and participated in the 2nd International Freedom Flotilla to break the Israeli naval blockade of Gaza on the US Boat to Gaza, the Audacity of Hope; the March to Blair Mountain, Midwest Rising, United We Dream Network, Chicago SOUL- Southsiders Organizing for Unity and Liberation and was arrested at the White House along with 1200 others to protest the Tar Sands pipeline. In 2012 Lisa has continued her work with Occupy offering trainings in New York and with Occupies in DC, Chicago, Philadelphia, Charlotte, NC, Houston, Austin and at the Occupy National Gathering. Lisa offered trainings at the Wayside Center, the Wells Fargo and Bank of America Shareholder meetings, the NATO Summit in Chicago and in New York on May Day! Over the Summer Lisa trained over 50 Home Care clients and their providers to engage in nonviolent civil disobedience who successfully saved funding their jobs and coordinated the action campaign for the successful 2012 Houston Janitor Strike. Lisa supported the local OWS organizers in developing the action framework and trained hundreds of people in preparation for the First Anniversary of Occupy! In October of 2012 Lisa took a break to heal her body and write a book. She is still doing both while continuing to organize on some key projects including: the labor and community fightback against ALEC led Right to Work legislation in Michigan in December of 2012; training and action coordination for the Stop The Frack Attack national conference in March of 2013, a statewide fight back in Texas against the ALEC led cuts in reproductive health including abortion by initiating a new group Rise Up Texas. Lisa/ACT provided support for the fight for immigrant justice during the fall of 2013 by coordinating a team of trainers who conducted 21 trainings and strategy sessions preparing 453 leaders in 16 states for nonviolent action. Lisa also helped found Austin Common Ground and then the Travis Austin Recovery Group, TARG to support survivors of the deadly 2013 Halloween Floods on Onion Creek and she has been part of a new collective–Undoing Racism Austin, that has been organizing people into Undoing Racism trainings with the People’s Institute for Survival and Beyond, for the purpose of making the City of Austin a leader in racial equity. Lisa believes that undoing racism is the healing work needed to set us all free to live happy and productive lives. Lisa Fithian is 52 years old and lives in Austin, TX. She is available for trainings, consultations and organizing projects. Lisa continues to work with people to access the power they need to build a more just and peaceful community and world. To see Lisa’s full resume, click here.